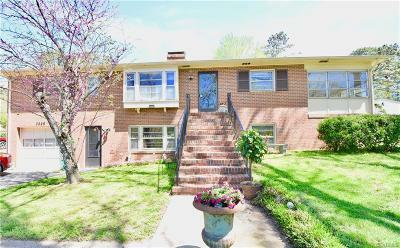 Welcome to this beautiful all brick ranch, with a full basement located in a quiet neighborhood in Chesterfield County. First floor is equipped with true hardwood flooring throughout. A spacious dining room and a entertaining living room with a wood burning fireplace. Along side you have 3 bedrooms one that could be use as an office or family room and a Master bedroom that has crown molding and a half bath. A spacious kitchen with a wall oven and vinyl flooring. And as to the side a florida room to enjoy an evening looking out with a beverage of your choice. Now we head downstairs, you'll have a full kitchen with a dining room, an enormous living room with a gas log fireplace and a spacious bedroom. A private entrance and full 1 car garage. Come check this out for yourself and turn into your forever home. Directions: Right Onto Gravelbrook, House On The Right.